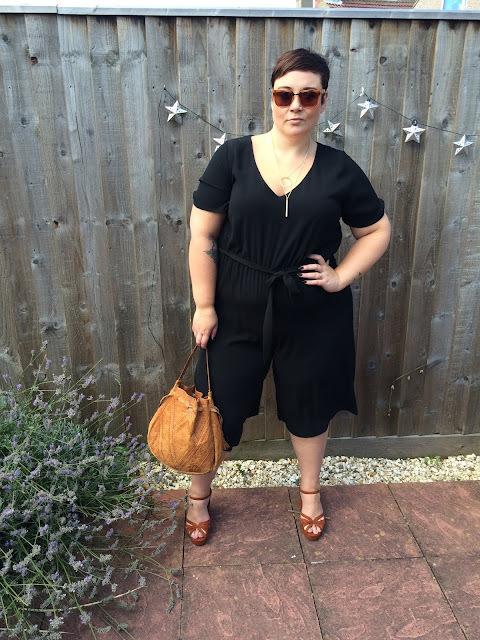 Style: New Look Inspire Culotte Jumpsuit. Hey! 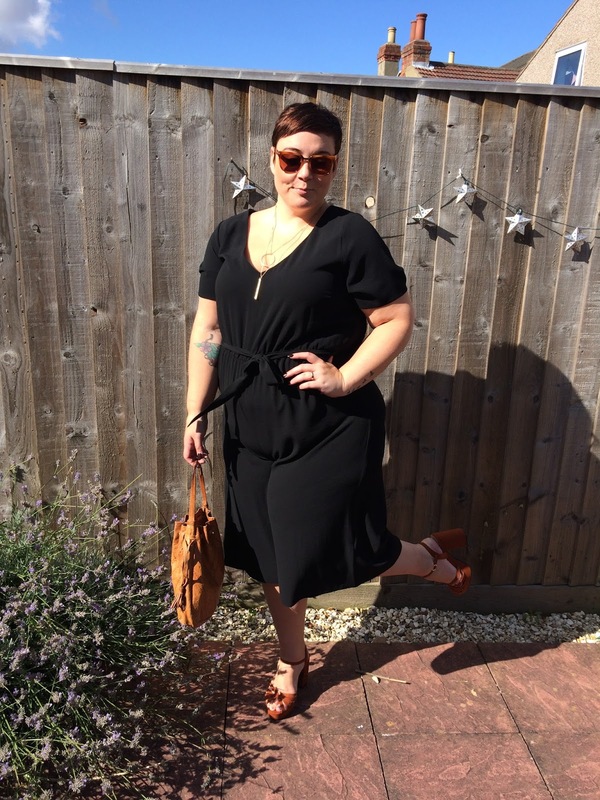 So I'm dashing off to The Curve Fashion Festival this weekend, so I thought I'd pop up a quick post before I go! I've got another New Look Inspire piece to share today. 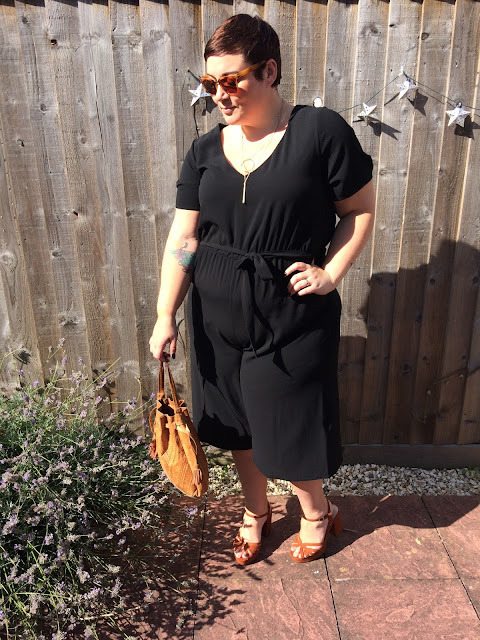 It must have been a little while since I've done a jumpsuit, I mean at least a few weeks! And this one is a little different in that it's a culotte style. 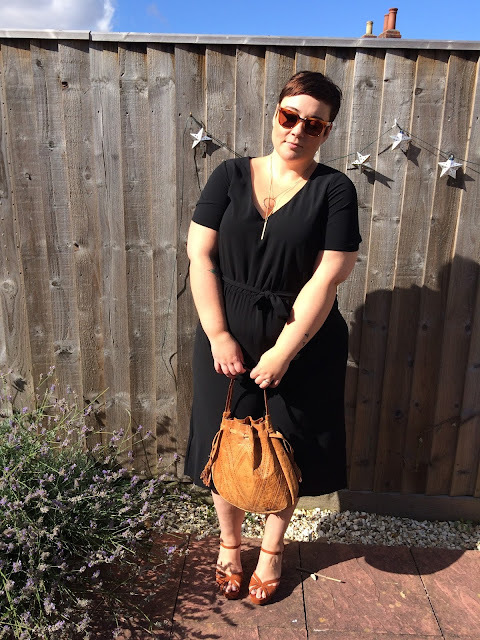 I really like the simplicity of this piece, the culottes lend themselves to the 70s trend so I accessorised with my new platform sandals and vintage bag. Luckily it's been quite sunny here so I just added sunglasses, but when it gets a bit nippy, I think a delicious fur collared jacket is going to look banging with this! I'm wearing the 22 and it fits beautifully. It's a little clingy around the tummy, which doesn't bother me, but if you'd prefer a smoother look I'd just pop some control pants on underneath it. I am SO excited for The Curve Fashion Festival, please do come and say hi if I'm not running round like a crazy person haha!